About a year ago my assistant Pastor and I looked to read a book on the theology of being an Independent church (not a part of a denomination and having no external authority over us) but were dismayed to see that there seemed to be no such book, especially for the British context. So it was with great excitement that I saw that the FIEC (Fellowship of Independent Evangelical Churches) was realising such a book at their Leaders conference this winter. 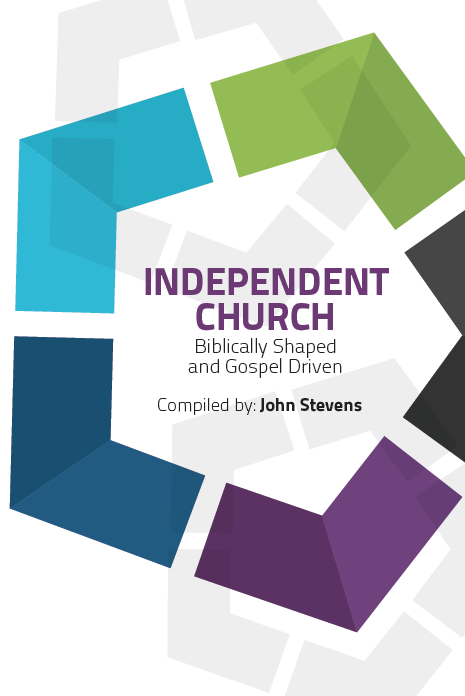 ‘Independent church: Biblically shaped and gospel driven’ is compiled by John Stevens, and includes essays by church leaders such as Bill James, Adrian Reynolds, Graham Beynon and others. It is published by the FIEC in partnership with 10ofthose publishing.